South East London’s very own Peckham is home to Rye Wax, record store, social hub, and basement music venue. Every few months the deep, experimental D&B community get together with a pair of decks and set the tempo to 170, see what happens! 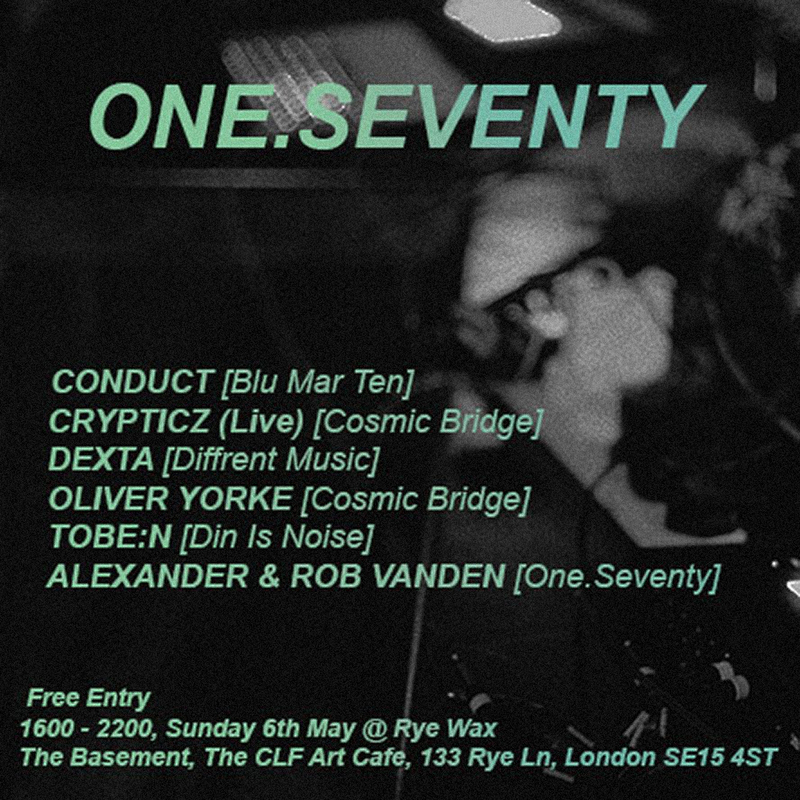 We’re fully representing at the next one, with Conduct, Crypticz & Dexta – expect a wide selection of soundscapes… Get down early, as it’s vibes from the off.